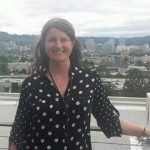 Sarah Duff is a longtime cannabis law reform advocate that has helped successful measures qualify for the ballot in both Oregon and Missouri. Mixing activism with a socially conscious entrepreneurial spirit, Sarah co-owns Duff Johnson Consulting, a company that helps assists patients, cultivators, clinics, dispensaries and other businesses comply with Oregon cannabis laws. Sarah also produces medical marijuana products, including tinctures and lotions, through her Freedom Fighter Farms line that donates a portion of proceeds to charity and those in need. UPDATE: The Oregon Health Authority has announced new rules for cannabis extract processing licenses and early sales reporting. We begged for a delay in the plant number restrictions and tracking so Oregon Medical Marijuana Program (OMMP) participants can learn what they are expected to do. The new temporary OHA/OMMP rules were only recently adopted on February 8th, 2016 following the passage of House Bill (HB) 3400 signed last summer which was to be fully implemented March 1st. The Marijuana Legalization committee gave us one extra month, so now the new date to implement plant number restrictions is April 1st. The committee also gave us 83 more pages of new cannabis bills in this short session and we need to know what pertains to us in a short amount of time. Much of what was passed is good but do the reforms go far enough to protect patients and growers from avoiding accidental non-compliance? And do growers have enough time to do the work necessary to keep their patients? We won’t be able to answer those questions today, but we can help you understand the changes to the OMMP and OLCC. The Marijuana Legalization Committee Co-Chair, Rep. Ann Lininger gave us an extremely helpful summary of the cannabis bills. Check out her website annlininger.org to find the cannabis law update for a general explanation of every law that passed this session that affects the cannabis community. Here is my best attempt at summarizing the OHA rules and this session’s bills. A full list of all of the links to all of the new rules can be found on the OMMP website. The rules pertaining to patients, growers processors and dispensaries can be found here. This is my summary of those rules. Who Reports And Who Is Exempt? Two Patient Personal Gardens Exemption: OMMP growers are subject to reporting except for two patient gardens if two patients are listed as their own grower at their residence. Personal gardens at another location than the residence will be subject to the $200 grower fee at renewal, plus tracking and reporting. Reporting: Beginning in June 2016, growers will be expected to log into the OHA website between the 1st and 10th of every month thereafter and report the number of mature and immature plants, amount of medicine being dried, medicine on hand and to whom, or where medicine/plants went. If the meds, plants or seeds went to a dispensary or processor, then there must be an agreement signed by the patient. Reporting Records: Reporting Records Must Be Kept For Two Years. Possession Limits: OMMP patients and caregivers can possess 24 ounces just as we used to be able to. The possession limits for growers is among the more confusing aspects of the OHA rules. All growers will be called Persons Responsible For Marijuana Grows (PRMG), regardless of whether they grow for them self or other people. PRMGs who grow outdoor may possess 12 pounds per plant and indoor growers can possess 6 pounds per plant. You Gotta Keep Em Segregated: At locations where there are multiple persons responsible for grow site, all plants need to be labeled per grower. Also, the medicine has to be kept in separate containers labeled with the grower’s name on it. This will help the grower report, and the consequences for not having separate labeled containers is suspension and revocation of their card. Processed Extract’s Accidental Temporary Prohibition: According to HB 3400, only licensed processors of extracts (hydrocarbon solvent extractions such as butane hash oil, propane hash oil, and CO2 oil) are allowed to be sold to dispensaries after March 1st and it would be a huge risk for a dispensary to sell extracts. When this date was printed in the OHA rules, activists like myself and many others stated in the rule making committee that the temporary prohibition was unacceptable because we won’t have licensed processors until around October. The OHA responded by making the implementation date 10/1/16. However, the legislature did not change this part of the law, so it is still against the law for a dispensary to buy processed extract medicine between 3/1/16 and 10/1/16. Ironically, as we will discuss next, Senate Bill (SB) 1511 (which is waiting for the governor’s signature) allows for some processed extracts and other processed cannabis products to be sold to all adults as soon as the rule making process is finished. My hope is most dispensaries will ignore that unworkable law because they can’t punish all dispensaries for helping the sickest patients among us. For what it’s worth, they would be following the rules, just not the unworkable law. UPDATE: The OHA just released a bulletin about their current rules regarding extracts, concentrates and marijuana products. (Hopefully, a more reasonable interpretation can be developed as legislators and policy makers are working on a solution that can work for patients and the industry. We’ll keep you updated). Testing: Anyone that transfers medicine to a processing site or dispensary must have their medicine tested beforehand. Senate Bill (SB) 1511 has not yet been signed by Governor Brown but the word on the street is that this bill is expected to be signed. We should prepare because there is an unfair amount of time to accomplish what is needed in order for OLCC Producer applicants to be able to keep their medical marijuana patients. Send a letter to each patient by certified mail with return receipt that the patient is going to have to give up rights to ownership of medicine to the applicant. (This sounds bad, but if a patient pays for nothing to keep the grow going, then do they really own the medicine? They only get what the grower gives them anyway). Certified mail return receipts that are signed by the patients they were mailed to but be submitted to the OHA. List of patients at the address. Signatures from all the growers at the grow site stating their grow site is applying to be a licensed OLCC production site and that they intend to comply with the new regulations. All returned receipts, the grower signatures and list of patients can then be compiled and given to the OHA by April 1st. According to Andre Ourso of the OHA, who did a tutorial for the Oregon Cannabis Association, the OHA doesn’t want growers with, say, 100 patients to send all 100 cards, but maybe to copy them on to fewer pieces of paper and submit the copies. Amy Margolis asked if an affidavit signed in front of an attorney would work, and Mr. Ourso said yes. Tax Free OLCC Cannabis To OMMP Patients: Technically this part of this bill was repealed because it was illegal to pass a tax with an emergency provision, which means it goes into effect right once the governor signs. However, the language reappeared legally in SB 1601 which also passed but also sits on Governor Brown’s desk and there is no emergency clause. The emergency clause wasn’t needed anyway because OLCC stores won’t open until October. OLCC stores will be able to sell cannabis to OMMP patients or their caregiver tax free. Discounts And Free Medicine May Be Donated By OLCC Stores To OMMP Patients: The law originally stated that cannabis can not be sold for less than the price paid for the product because that would be considered tax evasion. That language is still law for adult use non-medical customers, but SB 1511 also made it so patients can get cannabis donated to them by an OLCC store. This means that if an OLCC store wants to take a loss in order to help an OMMP patient access medicine, then they can. Patients are tax free anyway, so it wouldn’t make sense to say that selling at a loss is tax evasion in this case. Early Start: Perhaps the most interesting change is that cannabinoid extracts in a prefilled receptacle, edibles and topicals will be able to sold in stores as soon as the bill is signed and the OHA crafts rules. What is funny is that cannabinoid concentrates are not among the list of accepted products, unless they are edible or in a prefilled receptacle. One prefilled receptacle of extract and one low dose, single serving of an edible can be sold. 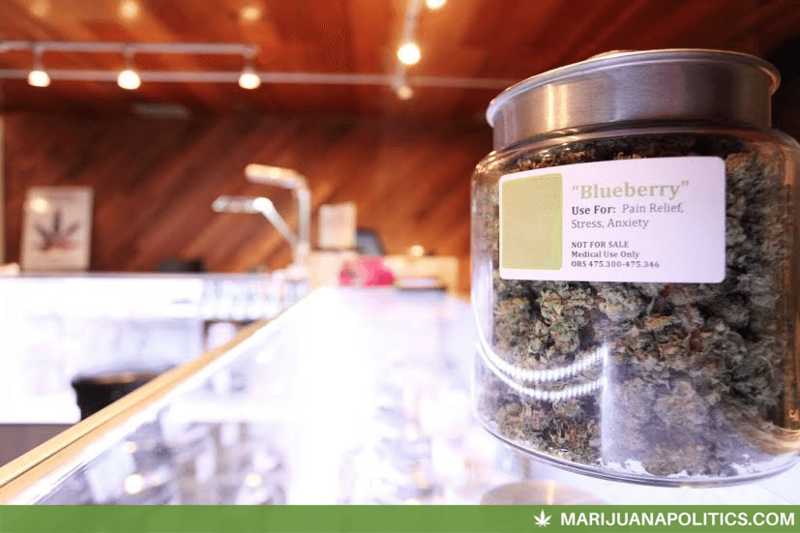 The simplest change to the OMMP and OLCC came from a largely symbolic bill, House Bill (HB) 4094, which intended to made it easier for banking to occur in Oregon. 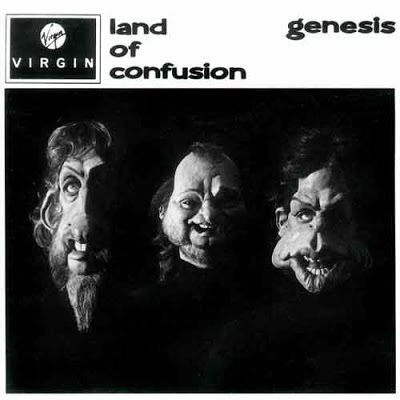 As marijuanapolitics.com writer, Anthony Johnson explained in his blog, there is still a federal fix needed because banks do not operate without banking insurance, which they still can not obtain. Small Grower OLCC License: SB 1598 is one of the more exciting bills that add an OLLC license for small scale growers that want to apply for an OLCC license. In order to qualify for this license, you must be outside city limits, have at least one grower that registered with the OMMP before January 1, 2015 and all of the growers registered at that address must have been registered before February 1, 2016. The license will allow outdoor growers to grow in a 5000 square foot canopy or less and indoor growers will be allowed to grow in a 1250 square foot canopy or less. Worker License: All employees in OLCC licensed production, processing, wholesaling and retail establishments will need to get a worker permit similar to the OLCC’s alcohol server permit for anyone in Oregon that dispenses alcohol. Researcher License: A new license will be created for the purpose of research. Nonprofit Dispensaries: A new Nonprofit Medical Marijuana Dispensary license will be created. These nonprofit dispensaries “may receive by gift, devise or bequest: (a) Usable marijuana, immature marijuana plants and seeds from registry identification cardholders, designated primary caregivers, persons responsible for marijuana grow sites, persons who hold a license under ORS 475B.070 and persons who hold a certificate under ORS 475B.235;” ORS 475B.070 refers to the producer license issued from the OLCC and ORS 475B.235 refers to licensed researchers. Thanks to SB 1601, the qualifying OMMP and OLCC Licensee’s donations to the nonprofit dispensaries will state tax deductible. HB 4014 made many interesting changes. Residency: Residency requirements go away for OLCC licensees, OMMP growers and caregivers, but retains the residency requirement for patients. Many activists who attended the hearings and work sessions for the Committee on Marijuana Legalization say the reason for keeping the residency requirement for patients is because Senator Ginny Burdick blames out of state patients for diversion of marijuana across state lines. This author is a patient advocate that will continue to work to eliminate the patient residency requirement because sickness knows no borders and we should help cancer and epilepsy patients from out of state that are not lucky enough to live in a state that allows people to use medical marijuana. Protection From Cities And Counties: Section 33 protects cities and counties from taking away the privileges from patients and caregivers so they can possess cannabis plants, seeds and products containing cannabinoids. Patients Being Able To Shop At Dispensaries Before Cards Are Issued: The OHA will soon give some sort of receipt that they received a patient’s new or renewal application and doctor forms. That receipt will have the same legal effect as a registry identification card for 30 days. This should mean that patients would be able to shop at dispensaries with the same privileges as patients who have received their OMMP card. Veteran’s Application Fee is $20 Regardless Of PTSD And Percentage Of Disability/Pension: The law states, “a registry identification cardholder applying for renewal of a registry identification card, submits to the authority proof of having served in the Armed Forces of the United States [and of having been diagnosed with post-traumatic stress disorder], the authority may not impose a fee that is greater than $20 for the issuance or renewal of the registry identification card.” The italics means the language is taken out of the law. HB 3400 had given the $20 discount to all vets with PTSD, but now that discount is for all veterans. It is possible that rules must be written first before this discount applies. Hopefully it will apply to when the bill was signed on March 3rd when the emergency law was passed. Agreements With Federally Recognized Tribes: Federally recognized tribes are allowed to engage in cannabis business. This bill describes the required reporting and the agreement that will be necessary for each tribe engaging in cannabis business in Oregon. OMMP Patients On Parole, Pre-Trial Release, Probation And Diversion: This bill allows OMMP patients on parole, pre-trial release, probation and in diversion to be able to use medical marijuana. Criminal Justice: Ann Lininger says, “The bill reduces some criminal penalties and returns penalties to pre-HB 3400 level for conduct that involves unlicensed use of highly explosive materials or significant production within 1000-feet of a school. The bill expressly prohibits smoking cannabis while driving.” The reason for the return to the pre-HB 3400 penalties is because the goal of legalization in Oregon was to decrease penalties or keep certain sensible penalties the same. HB 3400 increased the penalty for unlicensed explosive processing within 1000 feet from a school, but the previous penalties were sufficient. SB 1601 was the technical fix bill that was referred to above because anything that involves taxation is not allowed to be part of a bill that has an “emergency clause” which means goes into effect right away. Nonprofit Medical Marijuana Dispensaries: As stated above, OMMP cardholders and OLCC licensees will be able to make state tax deductible donations to licensed OHA nonprofit dispensaries. This part of this bill goes into effect 91 days from the end of the 2016 Special Legislative Session which ended 3/3/16. By my calculations that makes the implementation date June 2nd, 2016. There may need to be a rule making process for the new nonprofit dispensary license. Tax Free Medical Marijuana: As stated above, SB 1511 would have exempted OMMP patients from paying taxes but it was illegal to do this in an “emergency clause” bill. This bill corrected that mistake and the implementation should occur by the October OLCC store launch. I am very grateful to Bernie Sanders for helping to educate the public about socialism and income inequality. Is socialism the scary boogey man it has been painted as in the last few decades? In short, I argue no. Socialism has been given a bad rap, as has welfare. Just a little exploration can illuminate the reasons why. Socialism involves the redistribution of wealth which can help explain why the richest Americans would not like for the concept to gain popularity. Many who have lots of money do not want to give more of their wealth to lower income citizens. Today I explore what socialism, democratic socialism and welfare actually means and make my case for Bernie Sanders as the solution for our country. First I should explain why I believe I am qualified to call myself a Political Scientist. As an activist, I have been involved in politics but I tend to focus on cannabis politics. Our sorry state of federal politics has made Americans, me included, feel powerless to change political discourse. I vote anyway and advocate that everyone vote regardless of whether you feel you have power. Today is a different political climate than it was almost 14 years ago in 2002 when I earned my Political Science degree with a minor in History. In 2008, I was inspired by President Obama that we could transform politics. I didn’t think he could take our country as far as we needed to go, but we had to start somewhere. Bernie Sanders has inspired me to believe that a peaceful revolution was possible. Bernie is also inspiring me to dust off my Political Science degree. 14 years ago, when I would mention socialism, people would gasp. It was much the same reaction as when I told people I believed we should legalize cannabis/marijuana. I became a Political Science major at the University of Missouri in Columbia, MO because I knew the world was in need of improvement and I wanted to learn what “politics” actually was. My ultimate goal was to change the world for the better. I resolved to learn about our economic system and alternatives since clearly our current system favored the rich. This led me to ask the question, what exactly is socialism? In my professional opinion that I formed in college, I define socialism as an economic system that involves redistributing wealth so people who have resources can support people without resources. Online dictionaries disagree with my definition. Online, search optimized definitions do not paint socialism in good colors. Google offered this definition first, “a political and economic theory of social organization that advocates that the means of production, distribution, and exchange should be owned or regulated by the community as a whole.” I don’t think Americans would agree that the public should own all of our property and wealth. Bernie Sanders considers himself a democratic socialist. So let’s explore Bernie’s chosen political affiliation. The Democratic Socialists of America say, “Democratic socialists believe that both the economy and society should be run democratically—to meet public needs, not to make profits for a few. To achieve a more just society, many structures of our government and economy must be radically transformed through greater economic and social democracy so that ordinary Americans can participate in the many decisions that affect our lives.” They seem to argue that all people should own the property, means of production and businesses. I have a hard time believing Bernie would really advocate that all business ownership should be transferred to the people or to the government. He certainly does believe in taxing the wealthy and businesses that have more money. That is the socialism I can believe in. Bernie champions Medicare and Social Security and I would argue these programs are the best examples of American socialism. Americans pay into our own Social Security and Medicare accounts, but the withholdings from a modest earner’s income are not enough to pay the skyrocketing costs of our medical needs and our cost of living. Wikipedia says, “On average, Medicare covers about half (48 percent) of the health care charges for those enrolled.” With regards to social security, Wikipedia states, “In American society, the term welfare arguably has negative connotations. The term Social Security, in the United States, refers to a specific social insurance program for the retired and the disabled.” Because the wages people made in their time is not going to be worth the same amount due to inflation, the government’s social security program which saves our money for us is not likely to be enough to support us when we get older, especially because life expectancy is higher than it once was. The idea that we would allow welfare or socialism to have a negative connotation is ironic considering Medicare and Social Security are so incredibly popular. 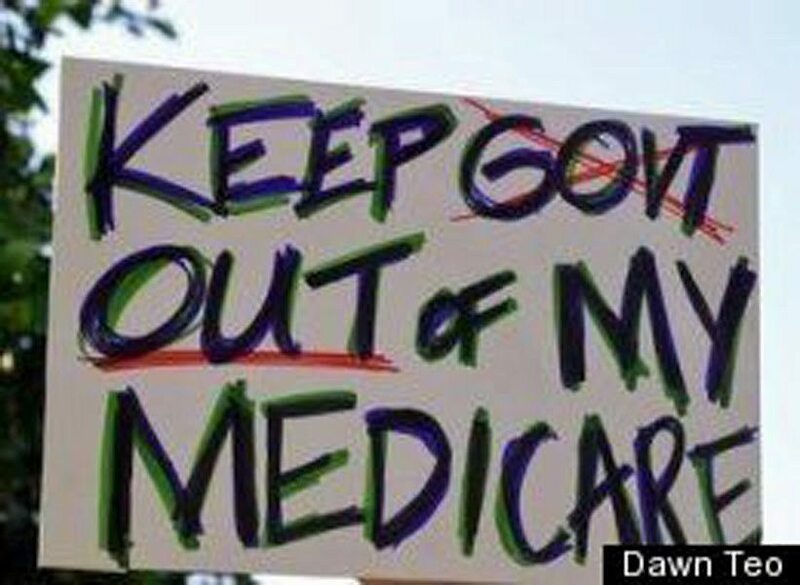 In July 2015, a poll reported by cnbc stated that 83% of Americans support Social Security and 77% support Medicare. The best example of this irony was reported by President Obama. He read a letter from a woman on July 28th, 2009 as reported by the Weekly Standard. “I got a letter the other day from a woman; she said, I don’t want government-run health care, I don’t want socialized medicine, and don’t touch my Medicare. [Laughter.] And I wanted to say, well, I mean, that’s what Medicare is, is it’s a government-run health care plan that people are very happy with. But I think that we’ve been so accustomed to hearing those phrases that sometimes we can’t sort out the myth from the reality.” Here is the CNN video where Obama says this. The Weekly Standard went on to report that this sentiment was echoed the same day by a man at a town hall meeting on July 28th, 2009. As Obama explained, it is impossible to keep the government out of government run programs like Medicare and Social Security. I argue that these programs illustrate that the government can do something right. Here is a previously considered “radical” idea that is catching on and shouldn’t be considered radical; I would rather Medicare and Social Security be further subsidized by the richer Americans and I believe some form of these services should be available to all lower and middle class Americans of any age based on their needs. We can’t have successful businesses without a combined effort from all workers in all industries. We can’t make money unless we use transportation and roads to get to work. If we work from home we most likely need the internet, postal employees or a telecommunications network which most likely people can’t provide on their own. Those who are able to live comfortably because they have enough money to pay their bills owe society for creating the circumstances that allowed them to make their money. Welfare or How About Subsidism? Merriam-Webster defines welfare as “a government program for poor or unemployed people that helps pay for their food, housing, medical costs, etc.” This definition should be more palatable to Americans than the definition of socialism and communism. If the idea of welfare, socialism and communism is too scary then perhaps we can think about curing income inequality by subsidizing those that are less fortunate. Perhaps we should establish an economic concept that our government facilitate taxation on the wealthy to go toward the Americans whose needs are not being met. Granted this is also pretty much exactly the definition of welfare, but sometimes we need to call the same concept something else in order to have the best chance for it to catch on. We can call it “subsidism.” It’s much like socialism, except without the idea that the government or the people own all business and wealth. It allows for capitalism but redistributes some of the wealth so businesses or wealthy individuals give back to the people that made their wealth possible. I am not a religious person, but I have strong beliefs. I grew up Christian so I understand the teachings of Jesus. If socialism, or subsidism does not catch on, then perhaps we could try a new concept that I’ll call, “Jesusism.” If Jesus was living among us today, he is unlikely to say we shouldn’t help other people. Jesus would not let those with Leprosy suffer without care and without people around them to help. We Americans typically adore Jesus, but we seem to demonize the idea of socialism which is designed to take from the rich and give to the poor. Jesus helped the poor. Our country should try to be more like the Jesus I grew up learning about. Hopefully this analysis of socialism, Social Security, Medicare, subsidism, Jesusism and welfare helps to clear the ironic fog that the wealthiest Americans want the poor and middle class to be blinded by. Please don’t let the socialist stigma hurt Bernie Sanders. Don’t be fooled by cynical Americans that don’t believe in American’s abilities to learn that democratic socialism can help and not hinder a candidate. Bernie is already teaching us that democratic socialism can help solve our problems caused by income inequality. Be a part of the revolution. Vote Bernie Sanders. Alice Ivany is livid to say the least. Oregonians may remember Alice from her activism when she teamed up with the medical cannabis community in 2008-2010 as Co-Chief Petitioner of Measure 74, the Medical Marijuana Dispensary Initiative. Alice was left with only one arm following a horrific industrial accident many years ago. Pharmaceutical pain medication did not work for her subsequent health complications. Alice enrolled in the Oregon Medical Marijuana Program (OMMP) in 2001 when cannabis medicine became her only choice left to try to relieve her severe chronic pain. Today, Alice does not hesitate to educate others about cannabis medicine and explain how it changed her life for the better. She was unable to obtain the medicine that finally worked for her because of a decision or fatal flaw omitting the creation of a dispensary system circa 1999 and subsequent legislative sessions that could have created safe, legal access for OMMP participants. As a result Alice suffered without pain relief for 17 months. Alice did not use cannabis prior to first registering in the OMMP and quickly learned it was impossible for her to acquire cannabis through a safe dignified legal system, like a pharmacy. She discovered the only means to acquire cannabis was through unsafe and illegal sources. Unfortunately, because she was inexperienced, she did not know how to access that resource and was not willing to ask strangers if they knew where to get cannabis. In 2003, she tried growing for herself, but she had no experience and suffered crop failures. By 2005, tired of the access struggle, Alice decided to redress her difficulties with the Oregon Legislature. Through visiting with lawmakers in Salem, she met many other activists. By 2008 after the Oregon legislature had accomplished little to address this expanding problem. The Oregon legislature through process simply refused to take reasonable measures to help relieve inadequate supply systems. Several leading activists realized the only other option was to go through the long and expensive initiative process in Oregon. She often reminds her fellow citizens; this is “the people’s government.” Your government. It will only function for the people if the people are involved. It is, in fact, our civic responsibility to be the watch-dogs, reference points, advisors and counsel to our elected lawmakers. It is our responsibility to be involved in the people’s government. 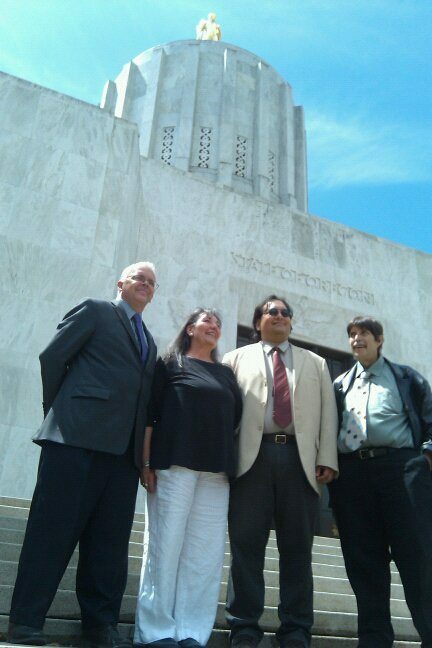 We, the People, thanks to Oregon’s initiative process are, in fact, the co-legislative branch of our government. I invited Alice to make comments because she has been involved in cannabis politics for over a decade and has remained a vocal advocate on the behalf of OMMP participants. Many patients have echoed my concern that medical cannabis patients are not given equal voice and remedy in our state legislature today, in part because they do not have piles of money to pay for lobbyists. Over the past 17 years our elected officials have heard and subsequently ignored the vast majority of thousands of complaints and concerns voiced to the OHA/ACMM and the Oregon legislature. Alice served on the ACMM from 2009-2013. The OHA consistently takes the most constrictive and conservative positions. They continue to increase the costs for participation. The consequence is inadequate health care. Cannabis medicine still remains out of reach for many low income and lower-middle class patients. Alice fought hard in 2010 to give patients an option to access medicine at dispensaries but she never imagined the legislature would so callously ignore and overturn the votes by the majority of the people that created a patient’s right to grow for themselves and to designate a grower if they can’t or choose not to grow for themselves. Legalization is great, but what about sick and disabled patients? As I guessed, Alice does not accept what the program will become if House Bill 3400 is implemented. Alice sympathizes with patients in rural Oregon cities and counties that have opted out of having medical dispensaries and now their “back up plan” of having a grower is in jeopardy. Many growers who have been growing for large numbers of patients in the areas hundreds of miles from the nearest dispensary will only be able to provide for the health care of a few. Alice appreciates Sen. Ferrioli’s recognition of some of the struggles OMMP participants face, though a bit late in the process. Alice also appreciates the hard work done by Sen. Prozanski, Rep. Lininger and Rep. Buckley, who are making every effort to protect low income patients and honor the people’s will so clearly expressed, by 56% of voters, when M 91 passed. We appreciate their efforts to preserve the OMMA/OMMP. Alice knows that illness knows no boundaries. Patients from out of state will not be able to get their Oregon Medical Marijuana card and was proud when Oregon was a leader in helping all patients in all states access medicine. Alice sited the story of the young patient from Utah named, Remie Ellett. Remie was unable to eat or drink like a normal person until she tried a whole plant cannabis treatment thanks to Oregon’s medical marijuana program. Sadly the mother, Sarah Ellett, will be faced with the option of seeing her daughter suffer, explore black market options or move to another state. It is worrisome to many patient advocates that Sen. Burdick can be seen questioning the OHA as to why the number of patients has gone up. She seems concerned that patients continue renewing and registering in the state medical marijuana program. In this clip from the January 13th, 2016 Informational Meeting held by the Measure 91 Implementation Committee, Senator Ted Ferrioli defends the most vulnerable patients as I mentioned earlier in this blog and his comments can be seen at the time stamp, 1:13:35. Senator Ginny Burdick can be seen next at 1:13:54. From a more optimistic perspective, couldn’t the stabilization/slight increase of OMMP registrants be an indicator there was not in fact, a “crises of cheaters” acting as patients in the program? Perhaps if there was credible evidence submitted supporting such claims, heard over the many sessions since 1999, instead of so much anecdotal evidence then we would not be creating restrictive laws that hurt patients based on an assumption that there is problem. Alice believes the best way to move forward is to direct our lawmakers to declare an “exceptional emergency” and impose a full stop halt to the implementation of OHA’s proposed rules for HB 3400 until all interested stakeholders can come to the table and craft a better, more compassionate system that works for all, through debate, discussion, science, common sense fact-finding and compromise. OHA’s proposed rules for HB3400 seem haphazardly rushed, poorly reasoned and at this time unfinished. We need to revisit this situation when there is more time than a “short legislative session” allows. If we succeed in halting HB 3400, then we should allow a year to craft rules and have time to share the rules with the people in the program to ensure we do not fill up our jails again with marijuana offenders. Regulations are basically re-prohibitions and act as traps to those too sick to understand what they need to do to follow the tracking requirements. If the legislature does not stop the implementation of some of the harmful provision of House Bill 3400, the weight and burden upon Oregon’s most ill, poor and those with the least voice will be unconscionable and inexcusable. Don’t these constituents already have enough to cope with? Here is the contact information for all of the most powerful legislators in Oregon. Alice urges you to please look up who your legislators are, and add their email addresses. Due to the time constraints we must act immediately if you want your opinion to be heard. At a time when so many changes are in process for their medical marijuana program I would expect to have more alerts on the main OHA page, especially considering so many laws and rules are changing that could lead to uninformed people committing crimes unknowingly. I would prefer an Oregon Health Authority that champions it’s medical marijuana program. 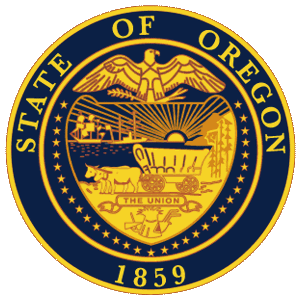 The people of Oregon organized to pass Measure 67 in November 1998 which legalized medical marijuana. Then our people voted not to change medical marijuana as it stated three times in Measure 91 in November 2014. I would like to see an Oregon Health Authority that respects the OMMP as much as the voters. Because the OHA has already “bungled” implementation of residency requirements twice, and there is enough evidence to suggest the OHA is embarrassed of the OMMP, we will have to be especially vigilant to protect OMMP patients from harmful changes to the program. This blog originally posted at duffjohnsonconsulting.com. Reposted here with special permission. Many Oregon medical cannabis patients can’t afford dispensary prices. Over 40% of all patients qualify for a low-income discount on their state application. I know that roughly half of the 230 patients I have helped connect with a grower qualify for one of the low-income discounts. A large fraction of the other patients are on a fixed income from social security but do not qualify for state discounts. These patients are by no means affluent enough to afford the retail price, plus tax, of the cannabis medicine their grower provides. The majority of the remaining groups of patients are the ones holding down a full time job or two, and thanks to life’s expensive nature, they also can’t afford all the medicine they need at retail price. If patients don’t have a grower because of the restrictive plant number restrictions going into effect March 1st (unless we delay implementation), then many won’t spend $70-$250 to the state plus clinic fees to get their card. They might spend that money in a dispensary/retail store where the state will make a fraction of that money back through taxes. Or the patient will choose to find their medicine on the black market where it’s cheaper and the state doesn’t make any of that money. Those that can’t find a grower but can afford the cost to be a patient and dispensary prices will pay their application fee, but they won’t pay the grower fee. The state will make nothing more because patients get their medicine tax-free. That is a loss for the state. A better system for Oregon is one that allows large gardens and growers to grow for as many patients as they can support as long as they choose to abide by the OLCC’s regulatory seed to sale system. The state will make a lot more money if they allow OLCC licensees to co-locate with OMMP grows and if the growers can grow for more than 8 patients in areas not zoned urban residential. Eliminating plant number restrictions will make the state $270-$400 in OMMP application and grower fees which is much more than the $70-$250 they make now. This would allow low-income patients to continue to be able to safely obtain affordable medicine without pushing patients to the black market and make more money for the state at the same time. Thirteen years ago when I was aspiring to do something about this crazy mixed up world, I endeavored to earn the title marijuana activist. I didn’t know much about cannabis, except I liked it and knew it shouldn’t be criminalized. I didn’t know anything about medical marijuana, and was pleasantly shocked when someone told me medical marijuana was legal in a few states. Thanks to the University of Missouri NORML Chapter, I was able to get involved and soon enough I was honored to be elected president of the chapter. Some friends and I also founded the first University of Missouri chapter of Students for Sensible Drug Policy (SSDP). We were working on a local initiative in my hometown of Columbia, Missouri, so we wanted to soak up any knowledge we could since our Political Science majors didn’t teach us how to run an initiative drive and campaign. The University of Missouri-Columbia (affectionately known as Mizzou), offered a grants program to send the officers of student organizations to their national conferences. The first two conferences we attended were in California, where I was blown away at the freedom and sheer number of movers and shakers there. It would be a real understatement to say that I had never witnessed anything like it before. If someone told me then that I would be working at conferences like that in the future, I wouldn’t have believed them. They are so fun and you get to meet and hob nob with the best and brightest in the cannabis industry and law reform movement. Learning from the best advocates across the country motivated us Mizzou activists and I am still very proud that we were able to decriminalize marijuana in Columbia in 2004, an effort that included several prominent women, such as Amber Langston, a longtime freedom fighter and current Deputy Director of Show-Me Cannabis. Today, I’m nerdy excited to help out the Oregon Medical Marijuana Business Conference (OMMBC) by picking up two amazing women in our industry and movement at the airport. I even remember being excited when I met someone that personally knew Debby Goldsberry. But then one day, I had the pleasure of meeting her. She’s among the nicest people I have ever met. Then at the next conference I felt it was a personal victory and honor that she remembered my name. Every time I see her I reintroduce myself assuming she may not remember me. While Debby is often mentioned as one of the all-time women cannabis activists, you can remove any qualifiers as she is one of the time all-time activists period and her accomplishments stack up against virtually anyone. 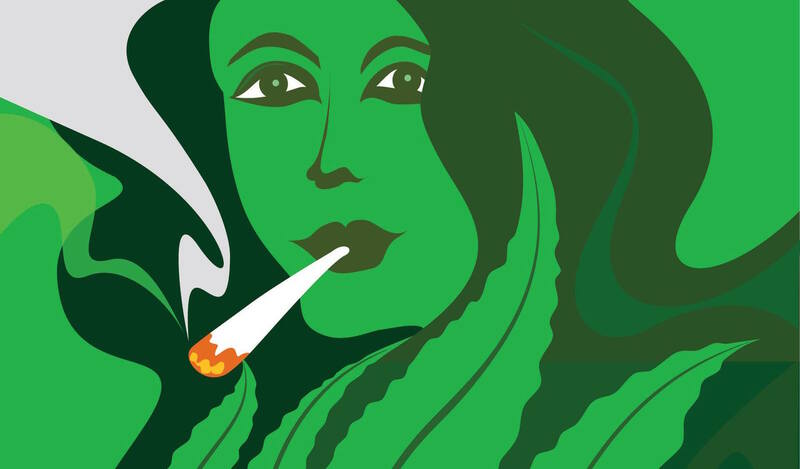 Mentored by the late, great Jack Herer, Debby co-founded Berkley Patients Group, one of the most successful dispensaries in history and her longtime advocacy was ultimately recognized when she was named High Times Freedom Fighter of the Year in 2011. In 2010 when we were working toward legalizing medical marijuana dispensaries in Oregon we kept a close eye on California and the Prop. 19 campaign. I loved watching the national news because they were finally talking about cannabis prohibition. If I was lucky, I was able to catch a Dale Sky Jones interview. She killed it on Fox news, and every channel, every time. Dale, as Executive Chancellor of Oaksterdam University, combines industry and activism skills with the best of the best. I was psyched to learn she would grace us with her presence at this year’s OMMBC. Excitement doesn’t begin to describe what I’m feeling now knowing I get to welcome her to Oregon. I so look forward to Dale and Debby joining my friends Ashley Preece Sackett and Chelsea Hopkins on the “Women & Cannabis” panel. Dale and Debby put in many years of hard work to pave the way for women in the cannabis industry today. I am fortunate that I have managed to start my own ancillary cannabis business and I am so thankful for the activists that have laid the foundation for all of us today. Now, if you will excuse me, I’m going to go find the best legal cannabis in Portland because I can’t show up to such an occasion empty-pocketed. Or maybe I don’t want to be empty-pursed.